I love sharing snippets of our ‘view of life’ ‘from the verandah’ and hope that my words and pictures will give you an insight into the life of a genuine grazing family. Perhaps the updates will evoke a memory of some of the great things about being raised a country kids. I’ll endeavour to share some inspiration from the kitchen or the garden and help you see all the good that surrounds us all each and every single day in sometimes the most simple ways. I live, raise our family and direct our business alongside my husband, Rob from “Mystery Park” on the Central Queensland Coast. 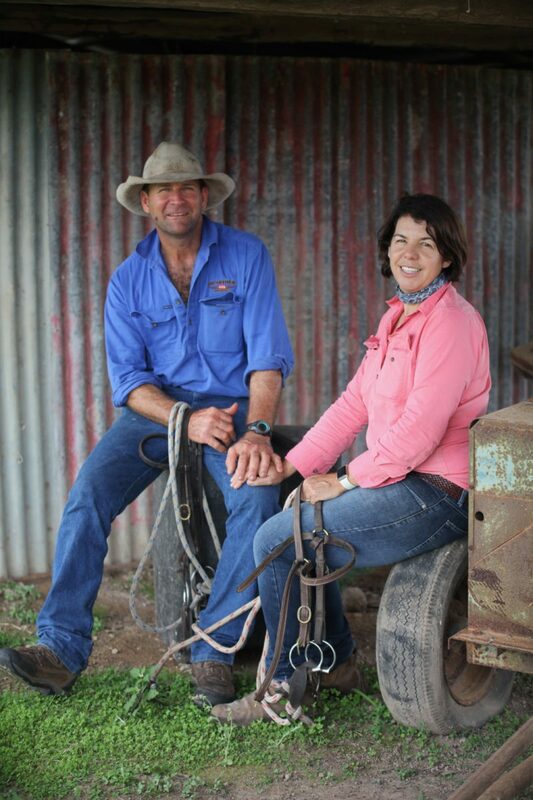 I’m a fourth generation grazier who’s married to a fourth generation grazier and together we are raising six very keen, budding grazier apprentices … I guess you could say that grazing beef cattle is in our blood! We live in an old timber home with a large verandah that is surrounded by an expanse of lawn, a productive veggie patch, an emerging orchard, a large herd of beef cattle, a small drove of Berkshire pigs, a flock of hens, a team of horses, a house cow, a few dogs and naturally enough, half a dozen children. Our core business is beef cattle and the trading of three commodities: grass, livestock and money. We harvest sunlight and rain to grow grass to trade for kilograms of beef to return a profit. We value family, our health and feel privileged to have such a strong connection with the land. Hard work doesn’t frighten us. New ways of thinking are welcome, we willingly embrace change and growth yet have a very healthy respect for tradition. This online space is a place where I celebrate our life on the land and the life of a country kid. I enjoy connecting words and photographs to document the little moments that intertwine to make our life on the land memorable.